Dr. Cassie Wilder is a registered Naturopathic Doctor (ND) serving the greater Twin Cities area. Her passion is empowering her patients through education, understanding, and support through their healing journey. 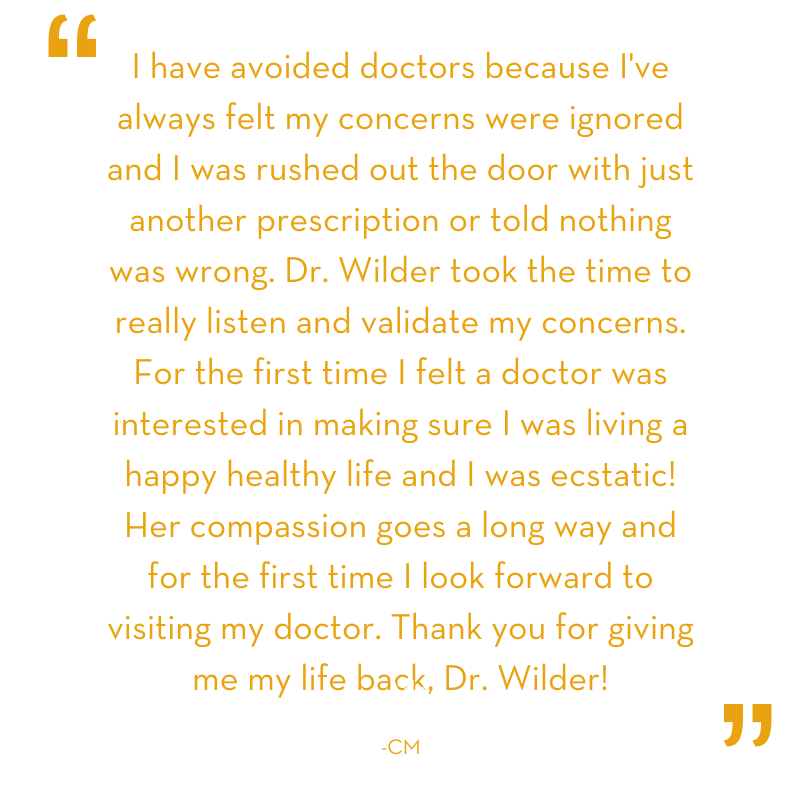 After graduating from Iowa State University with a Bachelors of Science in Kinesiology and Health, Dr. Wilder earned her Doctorate of Naturopathic Medicine from Southwest College of Naturopathic Medicine, a fully accredited and nationally recognized institution in Phoenix, AZ. During her clinical training, she received extensive hands-on training with many leading experts in the field of Naturopathic Medicine and developed a passion for treating cardiovascular concerns, endocrine disorders, & mens health concerns. Dr. Wilder completed an internship with Dr. Decker Weiss, NMD, FASA gaining experience treating patients with cardiovascular disease utilizing an integrative medicine approach. During her internship she participated on the health care team that helped many patients reduce medication safely, eliminate the need for invasive surgeries or procedures, and reverse heart disease and arrhythmias naturally. Dr. Wilder specializes in preventive cardiology that allows for early detection and treatment of cardiovascular conditions such as coronary artery disease and hypertension. When she is not working, Dr. Wilder enjoys spending time traveling, hiking, camping, and being on the lake with her husband Sam.